A cold London night was made a little warmer on Thursday, when a host of stars came out to raise money for sufferers of a chronic genetic disease. The “Liv” Gala and Auction was held on January 31, with 420 guests paying up to $2,500 to attend the black tie event. 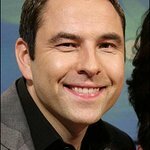 The evening, which included performances by British comedians David Walliams, Matt Lucas, and Jimmy Carr, rasied over $4 million, with proceeds to be split between the Cystic Fibrosis Trust in England and the Cystic Fibrosis Foundation in America. Last minute schedule changes by soccer club Barcelona FC meant that host Thierry Henry was unable to attend, but he thrilled the audience by appearing via live video when his match finished. However, English International players Peter Crouch and John Terry did attend, and they were joined by singer Natalie Imbruglia, photographer Sam Taylor-Wood, and British television hosts Trinny Woodall and Davina McCall. British Prime Minister Gordon Brown, whose youngest son suffers from cystic fibrosis, also attended the gala. 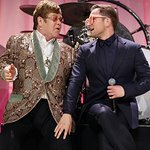 But the evening’s biggest applause was reserved for Sir Elton John, who received a standing ovation for his performance. Cystic Fibrosis is one of the world’s most common life-threatening diseases that can be inherited from parents, with over 70,000 sufferers around the globe. It is a debilitating condition that affects internal organs, especially the lungs and digestive system, by clogging them with thick and sticky mucus. Sufferers experience difficulties in breathing and digesting food, and the average life expectancy is only 31 years. Money raised from the gala will be used to provide care for sufferers and provide life saving medicines.